Klitgård, B.B. &amp; Baracat, A. (2014). Neotropical Thymelaeaceae. Habit: Trees or shrubs, sometimes lianas and herbs, often with strong smell; branches often flexible; bark fibrous and peeling in long strips. Leaves opposite decussate or alternate , simple , entire , often clustered at the apex of branches; with silky fibres in the venation when broken; stipules absent; indumentum unicellular, silky. Inflorescences axillary , terminal or cauliflorous , of thyrses often reduced to umbels, spikes or heads; bracts often present, sometimes forming an involucrum, rarely lacking. Flowers hermaphroditic or unisexual, actinomorphic , parts usually fused into an elongated, urceolate or cup-shaped colourful floral tube sometimes described as a hypanthium (except in Tepuianthus), this white, yellow, green or pink; sepals 4-5, inserted at the rim of the tube, imbricate ; petaloid appendages (occasionally absent or if present, then usually on the inside of the perianth tube, sometimes forming an ring), equal in number to twice as many as sepals; stamens 3-5(-8), usually equal in number to sepals, twice as many or rarely many more than sepals, filaments usually fused to the upper portion the floral tube, rarely free (Tepuianthus); nectar disc often present around the ovary ; ovary superior , 1(-3)-loculate, one ovule per locule . Fruits indehiscent drupes or nutlets, rarely loculicidal capsules. Seeds 1-3, sometimes with a tail-like appendage , sometimes arillate. The family, now widely accepted as a basal lineage of Malvales (APG 2001 onwards), includes three groups: Thymelaeoideae (ca. 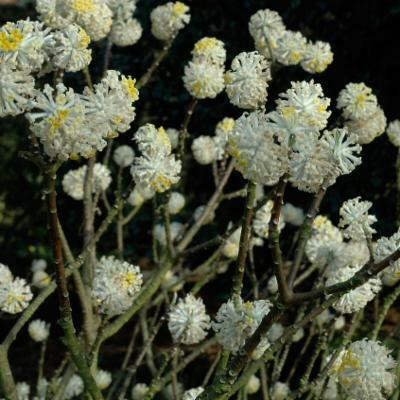 42 genera, worldwide, mainly subtropical), Octolepidoideae (8 genera in Asia and Australia), and Tepuianthus (1 genus restricted to the Guyanan Shield). 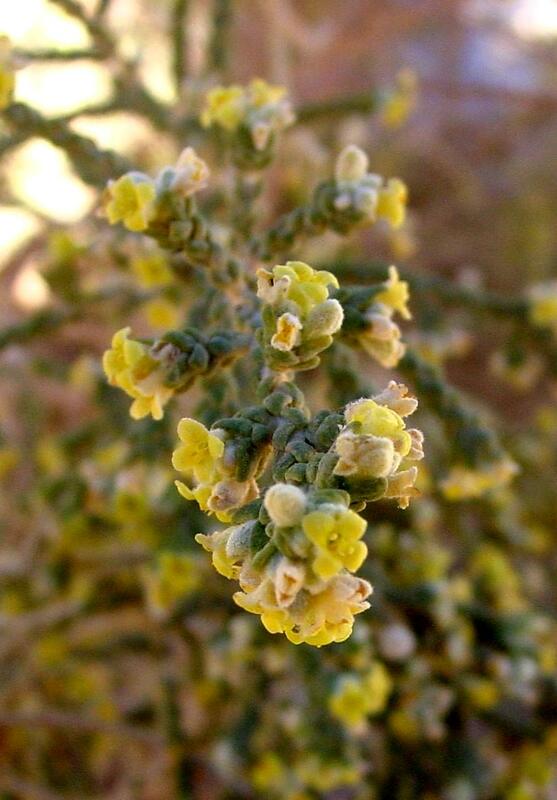 With regards to Tepuianthus Maguire & Steyermark (previously in its own monogeneric family Tepuianthaceae), recent molecular and morphological data suggest that this genus is sister to subfamily Octolepidoideae (Horn, 2004). 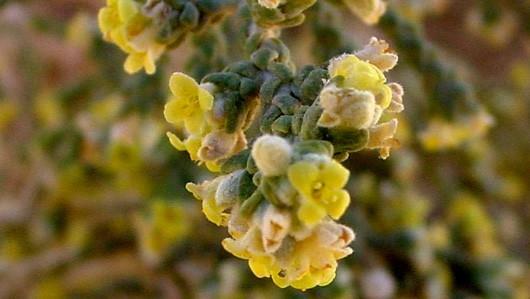 Aside from Tepuianthus and the closely related Octolepidoideae, molecular phylogenetic research within the family has mostly focused on the monophyletic subfamily Thymelaeoideae with particular emphasis on South African species of several genera and to a lesser extent, the large, mostly Australian genus, Pimelea Banks ex Gaertn. 12 genera in the neotropics (see Distribution in the Neotropics above). Daphne: several species of Daphne, a genus native to the Old World, are cultivated in the warm temperate zones of the New World. The tough phloem fibers are often twisted into cords and ropes, and the inner bark and fibers are sometimes used to make papers and textiles. Fruit, leaves, and bark of many species are used as fish poison, and rarely also as a purgative. The family is economically important for ramin and agar wood (gaharu), with many populations threatened with extinction due to unsustainable extraction; in addition, several species are important for horticulture. Lace barktree: Lagetta lagetto (W. Wright) Nash from the Carribbean has bark made up of many layers which has been used as gauze, lace or muslin. The Thymelaeaceae are composed of 46-50 genera and 890-900 species mostly confined to Africa, Australia, and Asia. 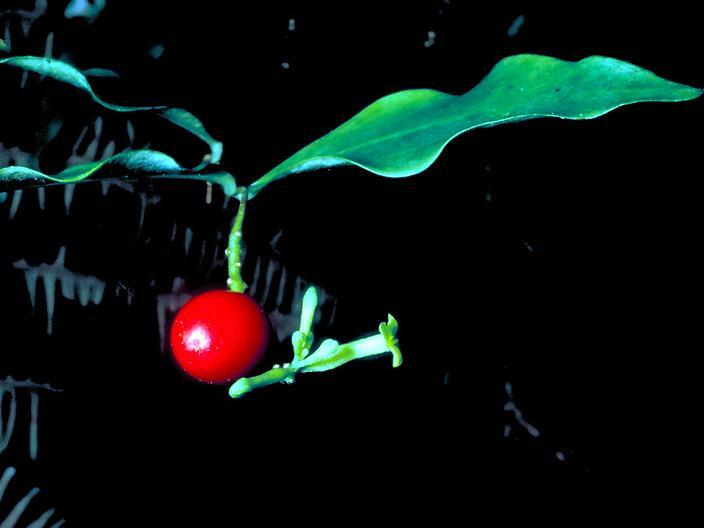 New World members of the family account for 12 native genera and about 115 species. Some species of the genus Daphne are introduced and cultivated. Most groups are tropical and subtropical, found in lowland to montane environments. Daphne L.: several species of Daphne, a genus native to the Old World, are cultivated in the warm temperate zones of the New World. Daphneopsis Mart. & Zucc. : about 65 species in the West Indies, Central and South America. Dirca L.: three species in North America and Mexico. Drapetes Banks ex Lam. : monospecific (D. muscosus Lam.) in southern Chile and Argentina, and the Falkland Islands. Funifera Leandro ex C.A. Mey: ca. three species in SE Brazil. Goodallia Benth. : monospecific (G. guianensis Benth.) in northern South America. Lagetta Juss. : three species in Cuba, St. Domingo and Jamaica. 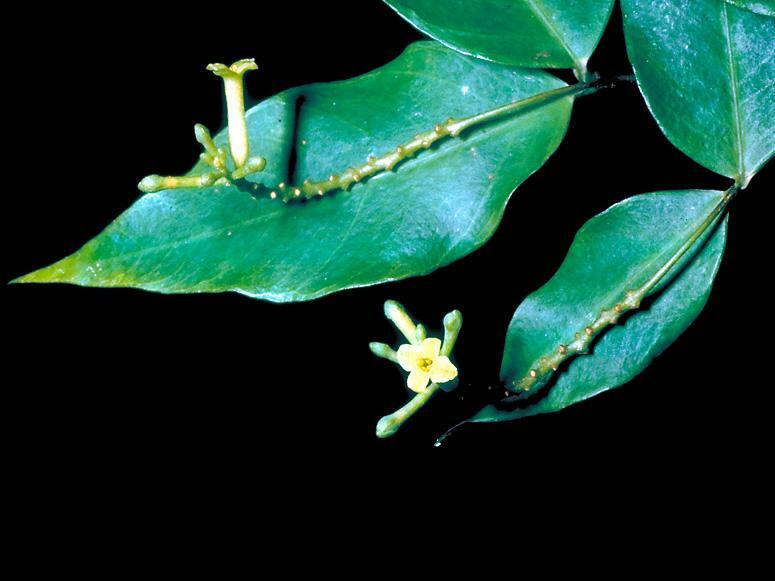 Lasidenia Benth. : two species (L. rupestris Benth. and L. ottohuberi T. Plowman & Nevling) from Amazonian Venezuela, Colombia, and Brazil. Linodendron Griseb. : four species Cuba. Lophostoma (Meisn.) Meisn. : four species in tropical South America. Ovidia Meisn. : only three species (O. pillopillo Meisn., O. andina Meisn. 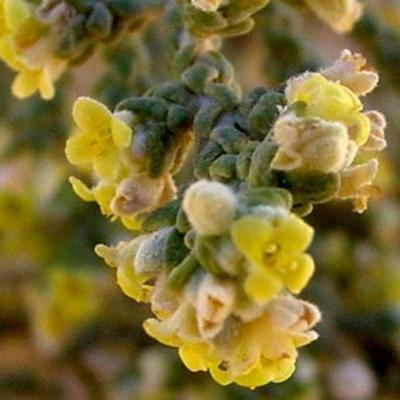 and O. sericea Antezana & Z.S.Rogers ) from southern Chile, Argentina and Bolivia. Schoenobiblus Mart. & Zucc. : about 8 species in West Indies, E and W tropical South America. Tepuianthus Maguire & Styerm. : 6-7 species concentrated on the Guyanan Shield in South America. 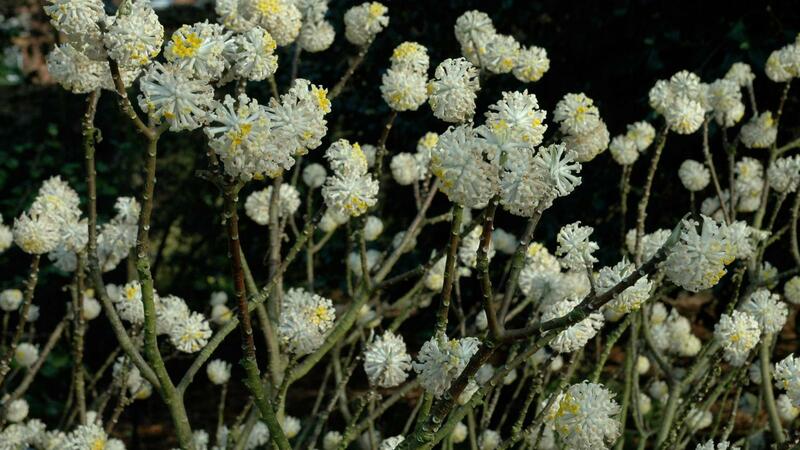 Trees or shrubs with fibrousbark, branches often flexible. Chrysobalanaceae - stipules present; glands usually present on petiole or leaf base; calyx and corolla present; petals free. Clusiaceae - yellow sap present; opposite leaves usually with parallel venation; flowers unisexual; calyx and corolla present. Ebenaceae - leaves distichous or spirally arranged with glands on the underside; calyx and corolla present. Lamiaceae - leaves decussate; flowers zygomorphic; calyx and corolla present; stamens usually 2 or 4. Rubiaceae - interpetiolar stipules present; stamens equal to the number of corolla lobes; ovary inferior. Barringer, K. & Nevling, L.I. Jr. 2004. Thymelaeaceae. In: Smith, N., Mori, S.A., Henderson, A., Stevenson, D.W. and Heald, S.V. (eds.). 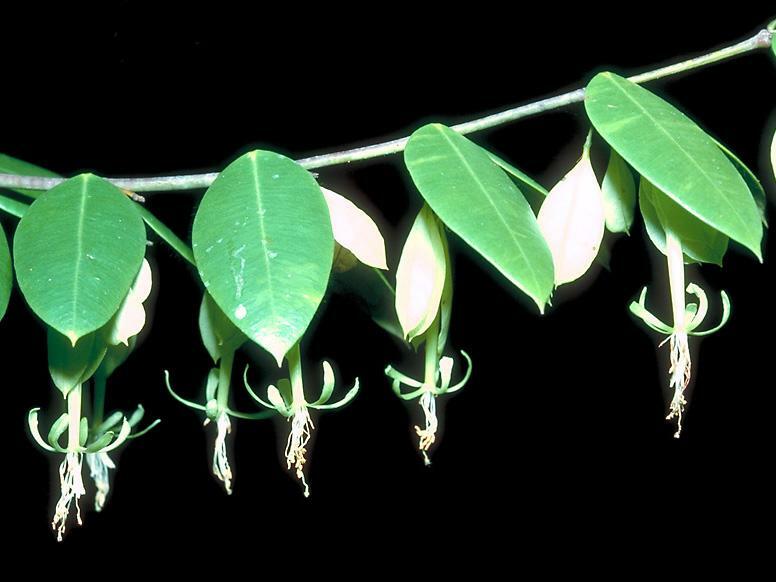 Flowering Plants of the Neotropics, pp. 372-374. The New York Botanical Garden, Princeton University Press, Princeton. Berry, P.E. & Rogers, Z.S. 2005. Tepuianthaceae. In: P.E. Berry, K. Yatskievych & B.K. Holst (eds.). Flora of the Venezuelan Guayana, vol. 9 (Rutaceae -Zygophyllaceae), pp. 297-299. Missouri Botanical Garden Press, St. Louis. Herber, B.E. 2002. Thymelaeaceae. In: K. Kubitzki & C. Bayer (eds.). The Families and Genera of Vascular Plants, vol. 5: Flowering Plants. Dicotyledons. Malvales, Capparales and Non-betalain Caryophyllales, pp. 373-396. Springer-Verlag, Berlin. Heinig, K.H. 1951. Studies in the floral Morphology of the Thymelaeaceae. Amer. J. Bot. 38(2): 113-132. Horn, J.W. 2004. The morphology and relationships of the Sphaerosepalaceae (Malvales). Bot. J. Linn. Soc. 144: 1-40. Kubitzki, K. 2002. Tepuianthaceae. In: K. Kubitzki & C. Bayer (eds.). The Families and Genera of Vascular Plants, vol. 5: Flowering Plants. Dicotyledons. Malvales, Capparales and Non-betalain Caryophyllales, pp. 371-372. Springer-Verlag, Berlin. Maas, P.J.M. & Westra, L.Y. Th. 2005. Neotropical Plant Families. 3rd ed, 149 pp. A.R.G. Gantner Verlag K.G., Ruggell. Nevling, L.I. Jr. 1959. 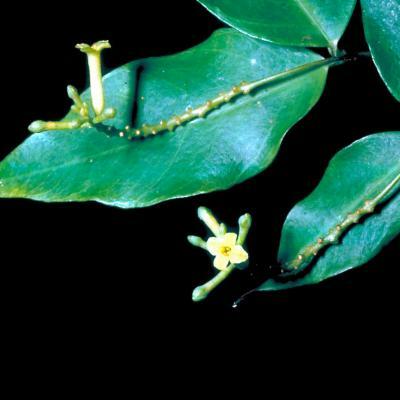 A revision of the genus Daphnopsis. Ann. Missouri Bot. Gard. 46: 257-358. Nevling, L.I. Jr. 1963. 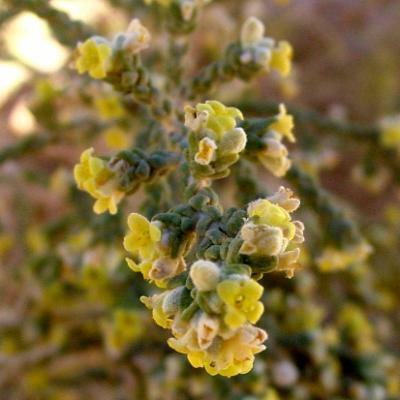 A Revision of the genus Lophostoma (Thymelaeaceae). J. Arnold Arbor. 44: 143-164. Nevling, L.I. Jr. 1964. Note on the genus Ovidia. Darwiniana 13: 72-86. Rogers, Z.S. 2009 onwards. A World Checklist of Thymelaeaceae (version 1). Missouri Botanical Garden, St. Louis. 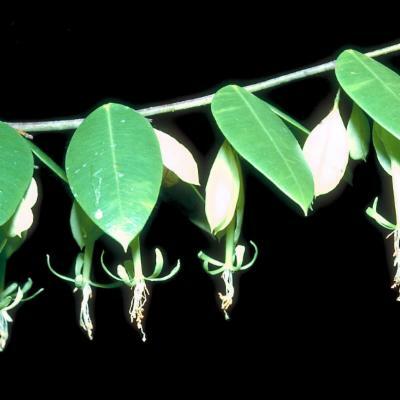 http://www.tropicos.org/project/Thymelaeaceae [accessed Sept. 16th 2013]. Stevens, P. F. (2001 onwards). Angiosperm Phylogeny Website. Version 12, July 2012. http://www.mobot.org/MOBOT/research/APweb/ [accessed Sept. 16th 2013]. Van der Bank, M., Fay, M.F. & Chase, M.W. 2002. Molecular phylogenetics of Thymelaeaceae with particular reference to African and Australian genera. Taxon 51: 329-339. Wurdack, K.J. & Horn, J.W. 2001 [Abstract]. A reevaluation of the affinities of the Tepuianthaceae: molecular and morphological evidence for placement in Malvales. 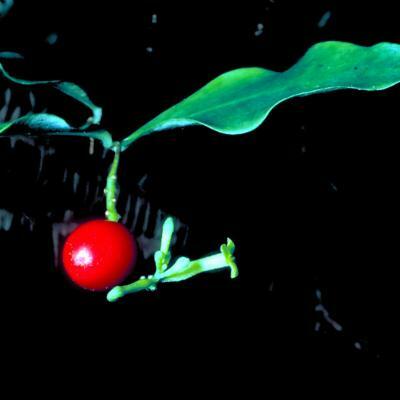 Botany 2001 Abstracts: 151. A family of about 50 genera and c. 600 species, cosmopolitan but mainly widespread in the tropical and subtropical regions. Seed usually with a caruncle-like appendage, outer coat thin or crustaceous, usually black, with or without endosperm; embryo straight; cotyledons flat or thickened, narrow or broad Seed usually with a caruncle-like appendage, outer coat thin or crustaceous, usually black, with or without endosperm; embryo straight; cotyledons flat or thickened, narrow or broad.